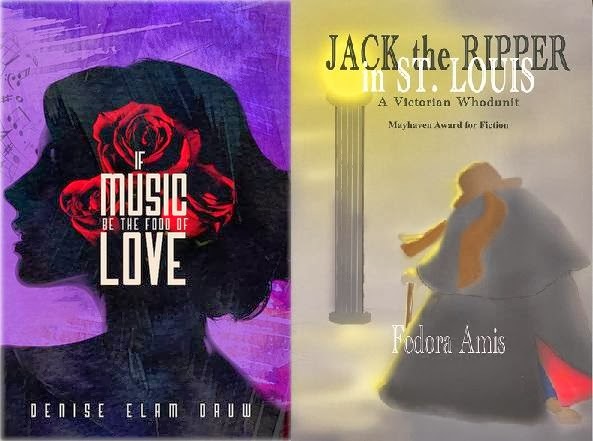 In October, the SLWG Author Series event featured the New Book Spotlight. A couple of times a year St. Louis Writers Guild showcase some member’s new books. This time, we featured two area authors Fedora Amis and Denise Elam Dauw. The SLWG Author Series is held on the third Thursday of the month at All on the Same Page Bookstore, 11052 Olive Blvd. The interviews are streamed live online and recorded to be posted on www.stlwritersguild.net. St. Louis Writers Guild members are sent a link and can watch and interact with the event live online. Denise Elam Dauw is a music educator in west St. Louis, Missouri. She holds a M.M. in Music Education from the University of Missouri – St. Louis and a B.M. in Music Education from Millikin University in Decatur, Illinois. Specializing in instrumental music as a band director, Ms. Elam Dauw also has experience teaching choir, orchestra, piano, music history and appreciation, guitar, jazz band, marching band, and color guard. She is currently a member of the St. Louis Writer’s Guild, the National Association for Music Education (NAfME) and volunteers for the St. Louis Chapter of the Alzheimer’s Association. 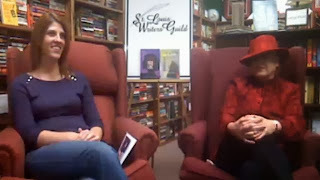 The video can be viewed on www.stlwritersguild.net or on Youtube by searching for the SLWG Author Series!